Free high resolution photo of a landscape scene featuring grass and trees in the foreground with a rolling green hill in the background. 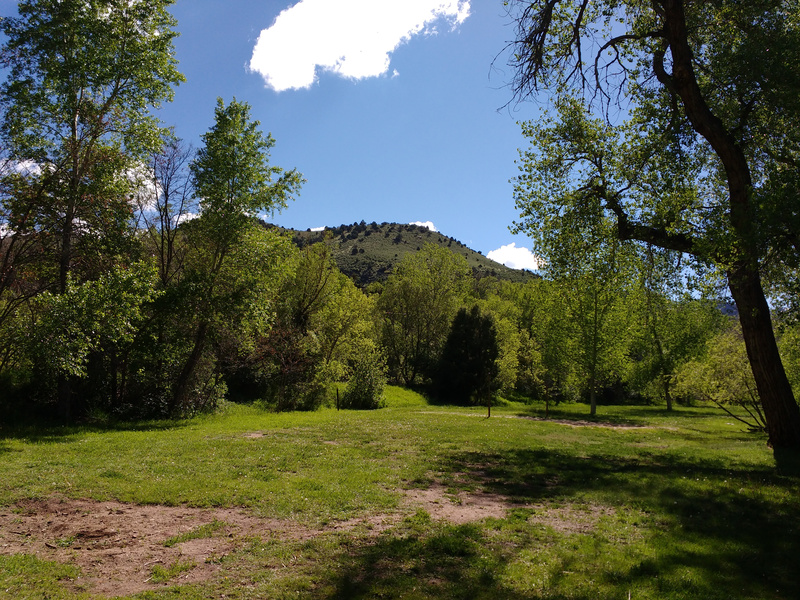 This photo was shot in Morrison Park in Morrison, Colorado on a sunny day with a beautiful blue sky above. Free image for any use.